Today, Hereditary Grand Duke Guillaume was in Esch-sur-Alzette to visit Luxcontrol, which focuses on providing analysis, testing, and certifications for technical, environmental, and food and hygiene safety. 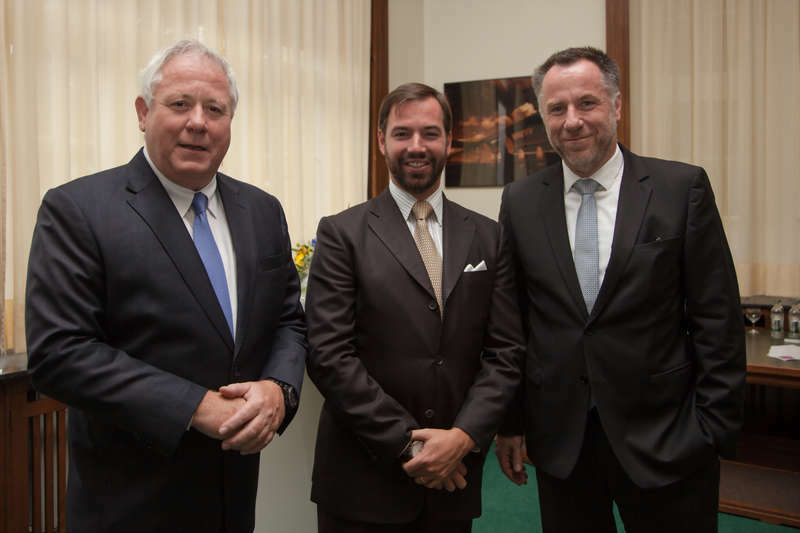 Guillaume was there to express appreciation for the company's active role in benefiting Luxembourg's economy. Luxcontrol was originally founded in 1978, as the chemical analysis company Laborlux. Today the company has locations in five countries and employs 260 people, 165 of whom work in Luxembourg. Prior to arriving at the location in Esch-sur-Alzette, Guillaume was in Kalchesbrück to stop by the Société Nationale de Certification et d'Homologation in preparation for his visit to Luxcontrol. A photo of Guillaume's visit here. Any other photos will be added if they're made available. More photos now at the Cour website.